Do You Know The Story of the Springfield Three Disappearance? 1. Who are the Springfield Three? 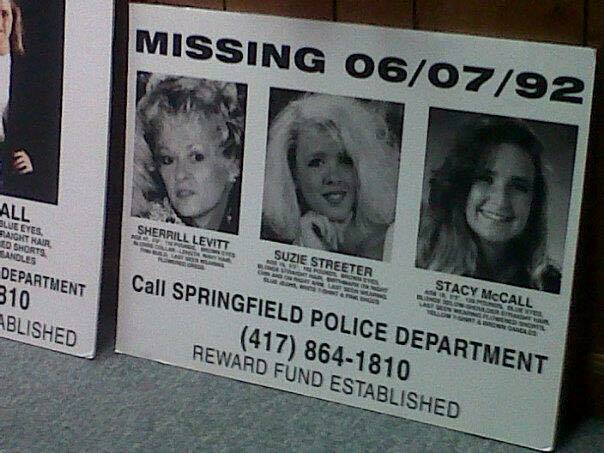 The case of the “Springfield Three” revolves around three missing persons: Sherrill Elizabeth Levitt, her daughter Suzie Streeter, and Suzie Streeter’s friend, Stacy McCall. 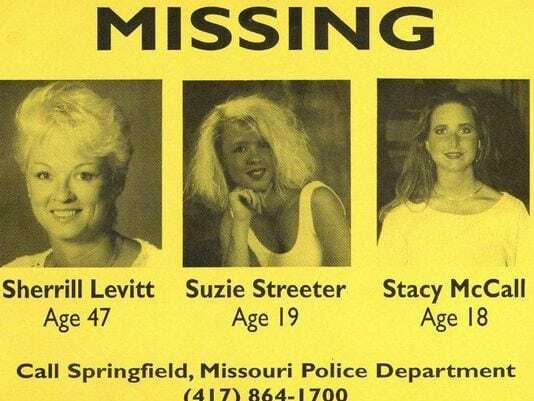 The case begins on Sunday, June 7, 1992 when the three women all simultaneously went missing from Sherrill Levitt’s home in Springfield, Missouri. It’s been a long and difficult case, and a lot of mystery still revolves around it. 2. What is a missing persons case? A missing persons case occurs when a person disappears without a trace and their status as dead or alive cannot be confirmed as their location is not known. 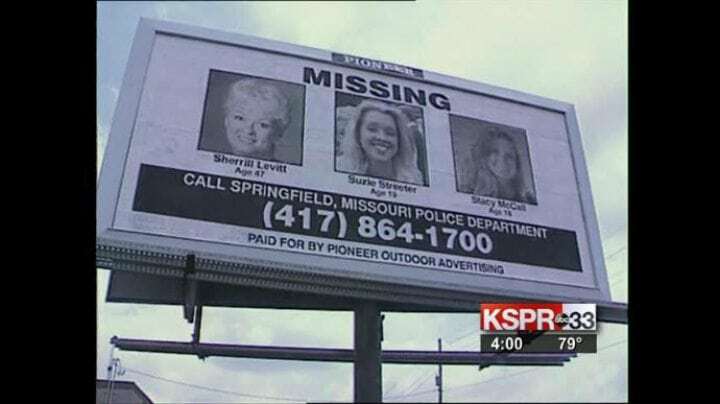 Sherrill Elizabeth Levitt was a 42 year old hairdresser when she bought a house for her and her 19 year old daughter, Suzie Streeter, in Sprinfield, Missouri. Before moving into their new home, Sherrill had divorced her husband and was downsizing to a more modest home. She was a very hardworking single mom and had lots of aspirations to fix up the house nicely and start a good life there for her and her daughter. 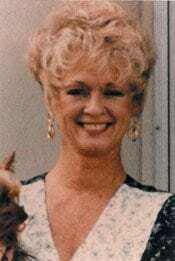 The first person on the missing persons case was Sherrill Elizabeth Levitt, who was born on November 1, 1944, and was 47 years old at time of her disappearance. Sherrill was 5 feet 0 inches tall and 110 pounds, with brown eyes and short light blonde hair. Her ears were pierced and she worked as a cosmetologist at one of the local salons in the area. She was very close to her daughter, Suzie Streeter. 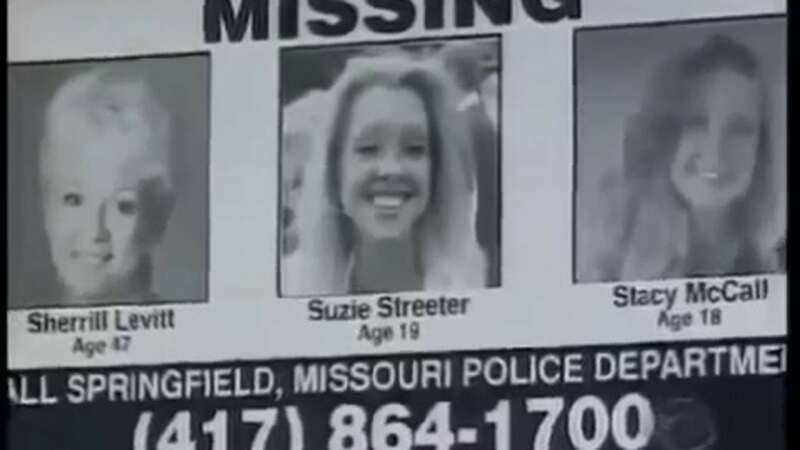 The second person missing was Sherrill’s daughter, Suzanne Streeter, who was often called Suzie. Suzie was a senior at Kickapoo High School and worked at the local movie theater after school. Suzie was born on March 9, 1973, making her 19 years old at the time of her disappearance. She was 5 feet 5 inches and 102 pounds, with brown eyes and shoulder length blonde hair. She had a couple of distinguishing marks, which include a scar on her right forearm and a small mole near the left side of her mouth. The third and final person to go missing that night was Stacy Kathleen McCall, who was one of Suzie Streeter’s best friends from high school. Stacy McCall was born on April 23, 1974, which made her 18 years old at the time of her disappearance. Stacy was 5 feet 3 inches tall and 120 pounds, with lightly colored eyes and long dark blonde hair. Suzie Streeter and Stacy McCall had both known each other since they were young children and had been friends since then. The two girls attended Kickapoo High School together and were graduating at the same time and the same day on June 6, 1992. They both had plans to celebrate their graduation together along with another friend of theirs, Janelle Kirby, and were also planning on going to college together. The girls all wanted to make the very most that they could out of their last week of school, so they had planned lots of parties and other fun activities to do together. According to Janis, “They started focusing back on their childhood; they were realizing that not all of them were going to be going to college, and that they would kind of split apart a little.” So, they decided to have fun with what time they had left. The girls had made lots of plans together – plans which a friend of the two missing girls, Janelle Kirby, shared after their disappearance. According to Janelle, the girls had made lots of plans for the summer: “We were ready for the water parks, the pools, shopping and getting ready for college.” Suzie and Stacy had plans to attend Missouri State University after graduation, and Suzie wanted to follow in her mother’s footsteps and become a hairstylist. At 4:00pm on June 6, 1992, the three girls graduated. There was a lovely graduation ceremony at Missouri State University’s campus. All of the girls were incredibly happy and ready to graduate. Each had perfectly prepped themselves for the big day and all of their family was there to cheer them on. After the ceremony, the girls went out to dinner with their families, then headed over to Janelle’s house for a party at her neighbor’s house. Of course, by the time the girls headed out for the parties late at night, it would be close to the last time that they would ever be seen. 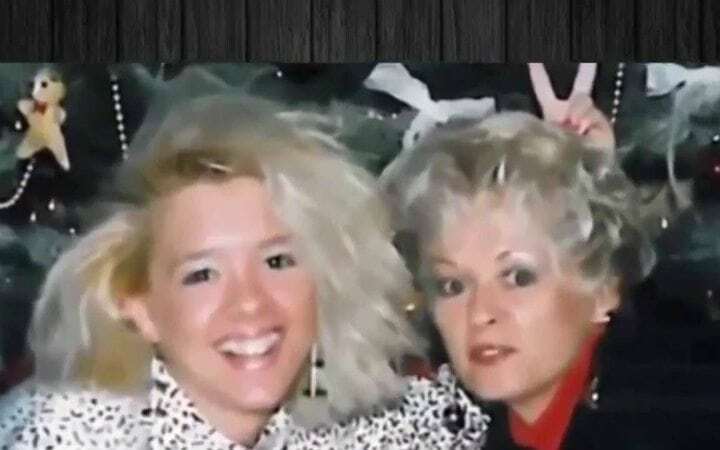 Suzie and Stacy were both reported to have last been seen at around 2:00am on the night of June 7th, when they were leaving the last of the graduation parties happening around town. The day after graduation, the girls had a fun day planned at Branson, Missouri – about a 30 minute car ride outside of Springfield. The girls were planning on going out to a water park at Whitewater for their first day of summer vacation and then sleep at a motel. Stacy’s mother, Janice McCall, is not happy about the plans to go away and sleep at a motel, so she’s happy when the girls call and say they’re having too much fun at one of the parties to leave. At 10:00pm, Stacy calls her mom to inform her of this, and the girls stay in Springfield… a life changing decision. 13. What about Sherrill Levitt? While the girls were out at various graduation parties, Suzie’s mom, Sherrill, is home alone working on a personal project of hers, refurbishing furniture. Sherrill Levitt was last heard of at approximately 11:15pm when she spoke with a friend over the phone about one of the pieces that she was working on. After that, she was never heard from again. 14. So, where were the girls? Since they were staying up late at a graduation party, Suzie and Stacy decided to spend the night at Janelle’s house, but unfortunately, it got too crowded. Janelle had so many out of town friends and relatives sleeping over at her house, that she didn’t have very much room left over. Janelle stayed at her own house, but the other two girls decide to leave and go back to Suzie’s house for the night. They leave in their own cars and agree to call Janelle the next morning. The next morning comes, and Janelle wakes up at around 9:00am. The waits around for a few minutes, but nobody has called her. Janelle begins calling the girls, but there is nobody answering her calls. Concerned, she decided to drive over to Suzie’s house along with her boyfriend, Mike. 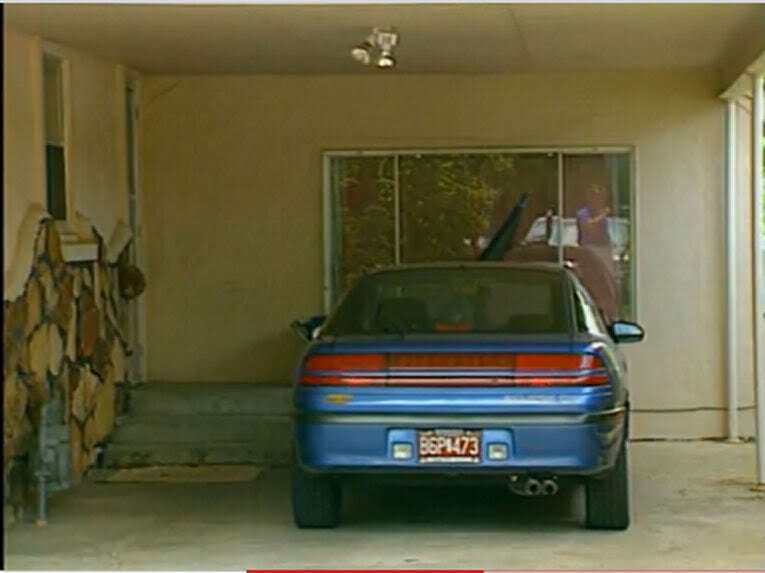 When they arrive, they notice that both Suzie and Stacy’s cars are there, along with Sherrill’s. Janelle walks up to the house and notices that there’s glass shattered all over the front porch. The globe covering the porch light has been broken, but the bulb remains intact. 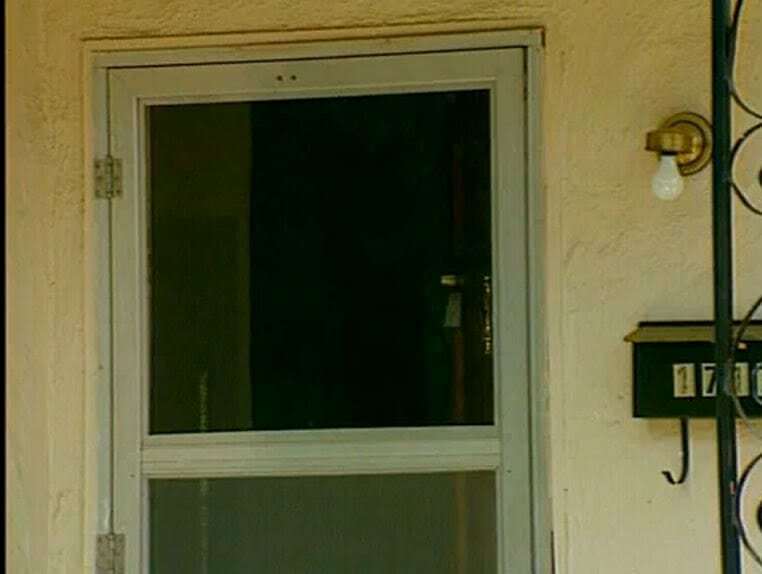 Janelle rings the doorbell, but nobody answers. She calls out for both Suzie and Stacy but receives no answer, so she and Mike decide to go inside and see if anybody is home, possibly asleep. 17. What do they see? Janelle first begins inspecting all of the bedrooms to see if anybody could have possibly been asleep and not have heard the doorbell or the phone. Both Suzie and Sherrill’s beds appeared to have been slept in, but nobody was in them. The bathroom also looked as if somebody had gotten home and taken off all of their makeup and jewelry before getting into bed. 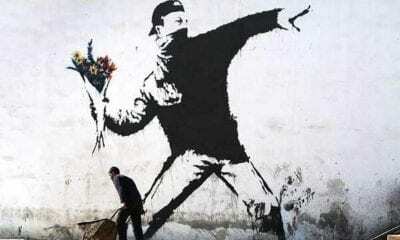 Essentially, everything looked ordinary, but nobody was home. When Janelle was getting ready to leave, she finally found something that she thought was very odd. Cinnamon, the family dog, was very anxious and was home alone, which was unusual. Janelle also noticed that Suzie and Sherrill’s cigarettes and lighters were both in the living room, which Janelle considered to be very unusual, as both of them were heavy smokers. Janelle and her boyfriend were very puzzled but couldn’t determine where anyone was, so they decided to leave. All of the sudden, the phone rings. Janelle hears the phone ringing and decides to pick it up – it’s a man. The caller, who remains unidentified, said several very sexual things, then hung up the phone. Janelle is very scared at this point, but the man calls the house again. Janelle picks up and the man continues to say sexually explicit things, but again does not identify himself. Later, the police were unable to identify who the man was or where the call came from. By this point, Stacy’s mother, Janis McCall, is worried at the lack of communication. She goes to Suzie’s house to look for her daughter but finds the same strange scene that Janelle found. Janis McCall calls Janelle’s house, but Janelle’s sister answers. She tells Mrs. McCall that Janelle is not there, and Mrs. McCall immediately assumes that something must be wrong with the girls. At this point, it’s now been 15 hours since the girls went missing and nobody has heard from them since. Mrs. McCall notices some more strange things at Suzie’s house – all of their purses are there and the television is on. It is at this point that Mrs. McCall calls the police, and the police department files it as a missing persons report. In the next couple of hours, police estimate that ten to twenty people visit the house to check up on the girls, all finding the same things. At this point in the investigation, it’s been only about 24 hours since the girls graduated, but already Janis McCall is getting to work. Just a day after her daughter’s graduation, she creates missing persons fliers and starts spreading them all around town. The media begins to call the three girls the “Springfield Three.” Meanwhile, the police keep working on the case. So, what exactly do the police know at this point? It was at sometime between 2:00am – when the teens left their friend’s Janelle’s house – and 8:00am – when various people started calling the house – on the night of June 7th, that all three women vanished. Unfortunately, many friends and family members tampered with the evidence accidentally, even deleting the answering machine with some man’s voice, which may have been the strange caller. 24. So, what evidence is there? After the police officers arrived at Suzie and her mom’s house, they immediately examined the entire house and noticed that there hadn’t really been any signs of struggle. 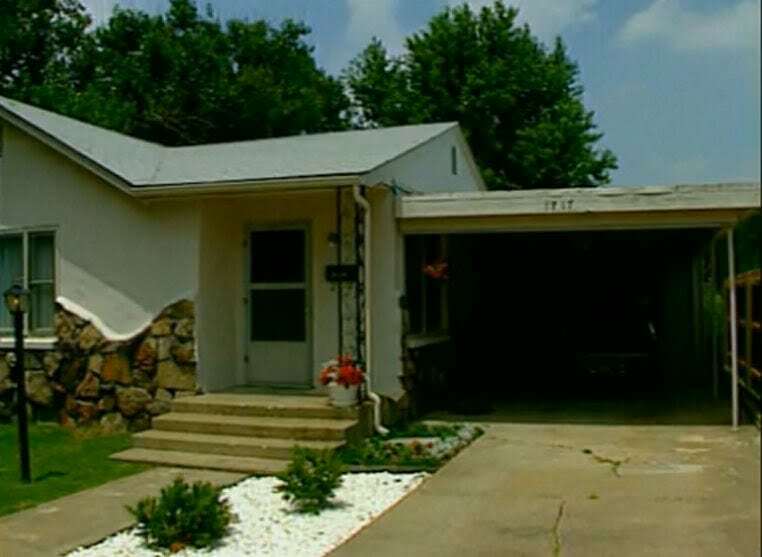 The only thing that was really out of place was the shattered porch light outside of the house. 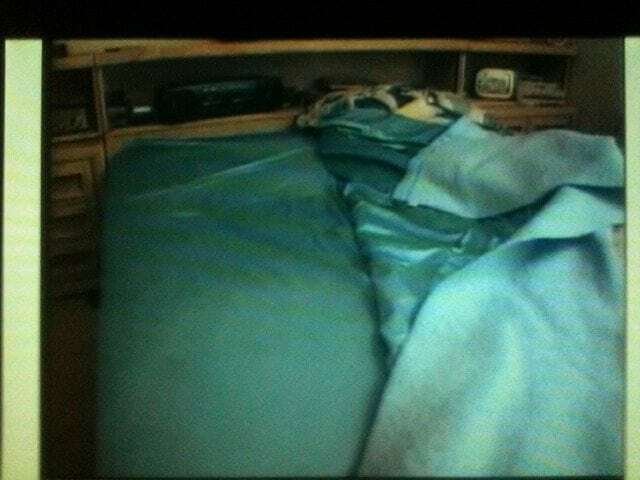 All of the beds did appear to have been slept in, and all of the girls’ personal property had been left behind, including their dog. 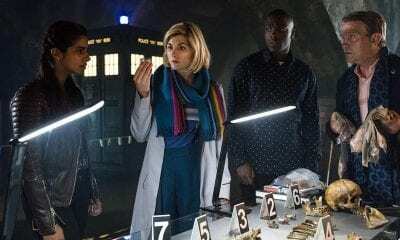 The police department kept waiting for evidence to come in regarding the case, and they finally got something about the whereabouts of the ladies. A waitress at Sheryl and Suzie’s favorite restaurant reported that she saw the women eating there between 1:00am and 3:00am, but nobody was able to confirm that the women were actually there. It wasn’t long, though, before dozens of tips began to be submitted regarding the case, though few led to any sort of concrete evidence. One of the first suspects to be questioned was Bartt Streeter, Suzie’s older brother. Bartt had left the Streeter household when he was 17 years old because he didn’t want to be confined to all of his mother’s rules. Bartt had had a drinking problem and had recently had some arguments with his mom and his sister, but his name was soon cleared. The police questioned him as to his whereabouts the night of the disappearance, but he had a strong alibi and cooperated the entire time. Even to this day he remains haunted about their case. The second person to be questioned about the disappearance of the women was Dustin Recla, Suzie Streeter’s ex-boyfriend. Suzie had broken up with him just a few months before all of the women went missing. Just a few months before, Recla and his friend Michael Clay were charged with vandalizing a mausoleum and putting several of the skulls in a tree nearby, as well as selling gold teeth they stole from several of the corpses. When the police went to question Clay, they found several strange items in his house, including a poster with a large circle, candles, and an animal skull. According to police reports, Clay said at one point that he wished all three women were dead, and called them b******. The police could not confirm the men’s alibis, but also could not find any evidence connecting either of them to the crime directly. Both men were ruled out as suspects, and both deny having anything to do with the disappearance of the women. 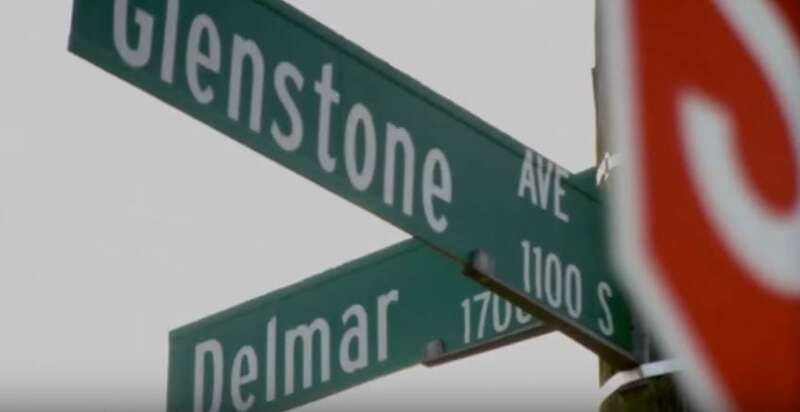 In one of the more interesting pieces of information to surface, a witness told the police that she saw a van that appeared to have been driven by Suzie a few blocks away from Suzie’s house. The witness didn’t come forward immediately because she didn’t know that Suzie was missing, but once she found out, she reported it immediately. According to the witness, Suzie appeared to be very distressed. 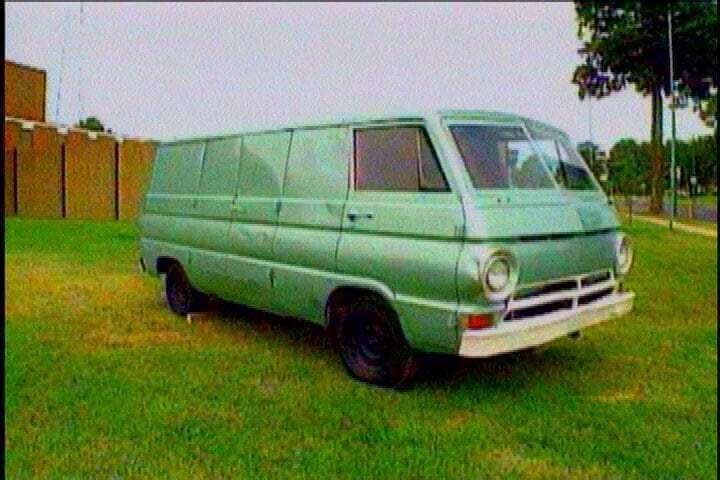 Immediately, many witnesses began calling in to report multiple vans that matched the description that the witness gave, but none matched the green-ish van that reportedly was where Suzie was last spotted. In a tip given to the local police officers, Larry DeWayne Hall claimed that his brother, Gary Wayne Hall, had been stalking one of the missing women. 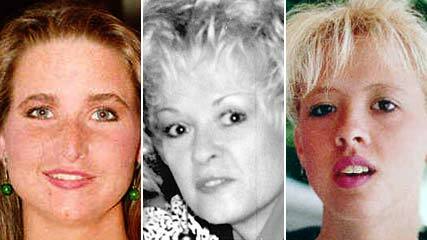 Larry claimed that his brother, and another man, allegedly kidnapped and killed Sherrill, Suzie, and Stacy, then dumped their bodies in the Mark Twain National Forest between 30 to 90 miles outside of Sherrill’s house. Supposedly, he was also the owner of the green van. 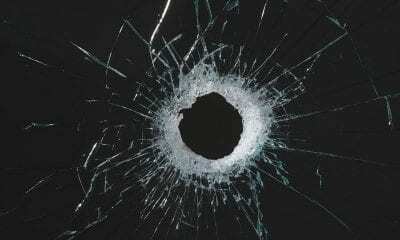 According to the Springfield Police Department, this tip was thoroughly investigated but no concrete evidence was able to be found linking Hall to the murder. According to them, “The inmate interviewed has provided several conflicting statements, none of which are consistent with the facts of the case.” It seems that, like many of the other tips received, this one led to a dead end. When all leads seemed to have gone nowhere, the police suddenly got a tip about a man living in Florida with a long criminal history: Robert Craig Cox. The caller who gave the tip was the brother of a woman named Sharon Zellers, who had been viciously abducted and murdered by Cox. In 1992, after being let out on parole, Cox happened to be in the area in Springfield, Missouri. He worked as an underground utilities worker, potentially a good excuse for getting into the Zeller home. Before working as an underground utilities worker, Robert Cox worked as a mechanic at a used car lot where Stacy’s father also was employed as a salesman. However, this evidence was only circumstantial. 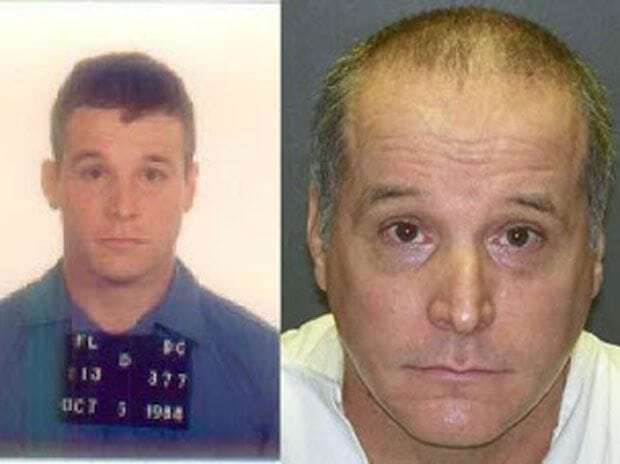 In 1997, Robert Craig Cox was imprisoned in Texas as a convicted kidnapper in a Florida murder when he told several journalists that he knew where the three women had been murdered and buried, and also claimed that none of their bodies would ever be found and recovered. Unfortunately, Cox had a solid alibi. When the police began to interview him, he told them that he was at church with his girlfriend that morning – an alibi which she corroborated. Later, the police would find out that Cox’s girlfriend recanted the evidence, stating that Cox had asked her to say that. However, Cox also said that he was at his parent’s home the night of the disappearance, an alibi which was also corroborated by Cox’s parents. In the end, the police were uncertain whether or not Cox was actually involved in the case or was just trying to seek recognition for the murders. Ultimately, it was determined that at least some of the statements that were issued were false. Later, Cox would tell both authorities and journalists that he would eventually disclose what had happened to the three women, but only after his mother had passed away. 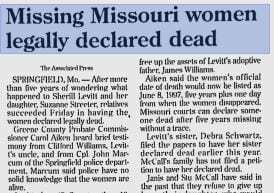 At this point in time, the police were getting many different tips as to where the women might be buried, but most of them were psychic tips. There was one, however, that kept recurring. 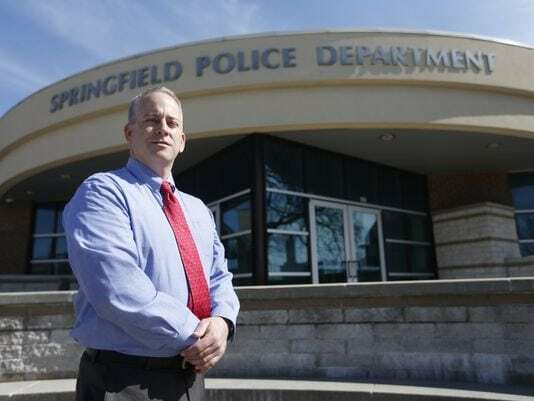 The Springfield Police Department received a tip that the women’s bodies were buried in the foundations of the south parking garage at the Springfield Cox Hospital. While there is no connection between Robert Cox and the hospital, it is a strange coincidence. In 2007, 15 years after the three women went missing, crime reporter Kathee Baird asked Rick Norland, a mechanical engineer, to come take a look at the parking garage. There had been so many tips received about that specific parking garage that Baird needed to examine it. Norland was called because he was an expert at ground-penetrating radar (GPR) which can visualize buried objects beneath the surface. 39. What did they find? Kathee and Norland scanned one corner of the parking garage at Cox hospital and found something completely unexpected: three anomalies. Norland’s scans revealed three anomalies that were “roughly about the same size” – two were parallel and one was perpendicular. All three were very shallow into the ground. While it couldn’t be proven that they were bodies, the scans were consistent with a typical grave-sight location. People have said that the parking garage could not house the women because it wasn’t yet completed, but others have stated that this made it the optimal spot to dispose of the bodies. A petition was created after the scans were released to dig up the concrete. After finding any conclusive evidence leading them to a culprit, Sherrill Levitt and Suzie Streeter were declared legally dead in 1997. Even today, the families of the three women still remember them very dearly and refuse to give up hope that one day the women will be found. Springfield, Missouri also remembers its three women, and in June of 1997, a bench inside of the Victim’s Memorial Garden was dedicated to the missing women at Springfield’s Phelps Grove Park. Unfortunately, the case remains unsolved, though there are still tips coming in to this day about the case. Over 5,000 tips have been received from the public. 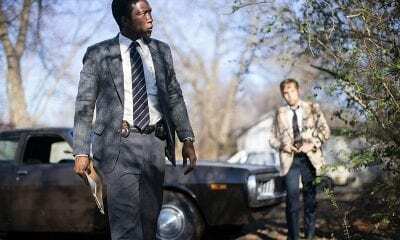 The case has been featured on several different television shows, including 48 Hours Mystery, Unsolved Mysteries, and America’s Most Wanted. In 2011, Investigation Discovery aired a special about the case on Disappeared. Even to this day, the Springfield Police Department is still allowing tips related to any possible information involving this case. If you know anything about this crime that might help solve it, you can text an anonymous tip to the Springfield Police Department by texting 417SPD plus your message to CRIMES (or 274637). You can also call at any time to 417-869-8477 (TIPS). SHARE this article if you can’t believe everything that happened with this case!